Preparing with pandemic supplies is so important to your Preparedness Plan. The threat of a global pandemic is rising again. Ebola is in the news everyday and Ebola sick patients are being brought into the United States. 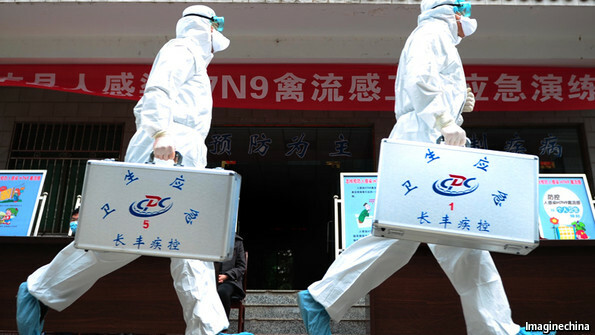 China, 2013, an influenza virus never before seen in people had infected at least 382 and killed 117. Meanwhile, last year, a new type of coronavirus, the family that brought severe acute respiratory syndrome (SARS), is festering in the Middle East. The risk of such an outbreak turning into a pandemic is low, but the danger, if it does, is huge. Before air travel, in 1918 almost 100 million people were killed by Spanish flu, compared with 16 million in the first world war. Fortunately, the world is better prepared for an outbreak than ever before. SARS in 2003, the H5N1 bird flu of 2005 and the H1N1 swine flu of 2009 have prompted action. By 2011, 158 countries had pandemic-preparedness plans. America has poured money into the development of new vaccines and antiviral drugs. Researchers have a better understanding of influenza and other risky pathogens. Faced with a distant but deadly threat, the world is not doing badly. But it needs to be better prepared still, because viruses move a lot faster than governments do. Obtaining the proper pandemic survival supplies may be critical to your survival. Certain Areas may be quarantined, closed, or inaccessible. All Public services and their available personnel will be negatively effected. The likelihood of loosing power is high in terms of demand, frequency, duration, or quality (much reduced staff, delayed supplies/stock, virtually no maintenance). There will only be enough able Health Care Professionals to take care of the desperately sick or injured. The otherwise sick or injured will have to be cared for at home or other make shift care facilities. Some residents of some areas may be directed to leave or be physically relocated at rather short notice, thus implying a need for readiness and pre packed supplies (personal and health related). Think about this. What would you pack if you were told that you only had one hour before being forcibly relocated? Places of Work may be temporarily closed and the demand for work may be suspended. Food and Health Supplies will rapidly be in short supply. Just think about local stores in hurricane country - there are always food and materials supply shortages just before a storm and there were months of prior time to get prepared. The point, herein, is that a person can get 90%, 95%, or 100% ready with food and health supplies, right now. School and Daycare will likely be suspended for a long period of time, thus a mitigating issue for keeping healthy kids at home as well as continued education effort. Possibly with a sick person at home. Fuel for vehicles, stoves, and generators will probably be in short supply or temporarily unavailable. People who are fit and who eat healthy and are not sleep deprived will statistically fare much better. Cough or Sneeze into a disposable tissue (NOT on the hands), then properly dispose of the tissue, and then wash hand thoroughly with soap or sanitizer. In the absence of tissue to cough or sneeze into, then cough or sneeze into your sleeve or elbow (NOT on the hands), and then wash hand thoroughly with soap or sanitizer. Get hold of and carry packets of disposable tissues. Obtain and carry a small bottle of hand sanitizer on your person. Soap and Water are still the #1 method for killing germs. Alcohol based hand wash sanitizer solutions also work. Wash hands for a minimum of 15 seconds (for either method), for the normal length of the Happy Birthday song (sing Happy Birthday to Me, silently, to yourself). Completely wet your hands first (makes process more effective). Apply liquid or clean bar soap. Rub your hands vigorously together for at least 15 seconds. Throw away the disposable towel into a trash can which should be located just inside or outside of the exit door or door way. Apply about 1/2 tsp of the product to the palm of your hand (25 Cent Coin size). Rub your hands together, covering all surfaces of your hands, until they're dry. If hand sanitizing has reached the point where the hand's surface is continuously tacky, perform a normal soap and water hand wash.
Do NOT reuse a handkerchief. If sick, do NOT go to work or school - stay at home! Teach kids and adults to stay away from others who are sick. Teach all of this to kids and adults who don't know better. 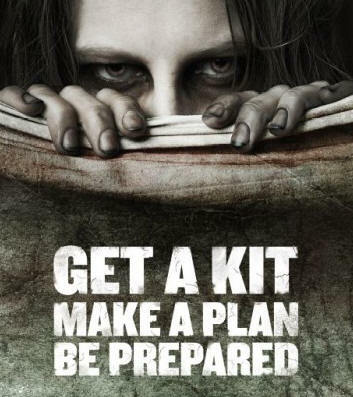 The above should already be a part of your Prepper mindset and incorporated into your Preparedness Plan. You can download a a free pdf from the World Health Organization which is very informative on Pandemic issues and provides a detailed list. Here is a basic Pandemic Supplies Checklist that you can print for reference.